$45 Unknown In 2019, Blockpass is launching a series of leading security token events to help educate and inform business, investors and policymakers wishing to explore this trend and to help build the community that will drive the security token ecosystem of the future. This event in London is the second in a series which kicks off in HK in March. $23 500 Join the 2019 Rebuild Conference at its first installment: Genesis, as we host presenters on both sides of one of the most important issues of our time – technology and its effects on society. You’ll hear from thought leaders, investors, journalist, authors, and academia on a variety of topics centered around the internet, the problems it creates, and new advances in blockchain infrastructure aimed at solving them. We want to invite like-minded individuals to join in advancing dialogue on these important issues. $149 5,000 Blockchain Life 2019 Asia is a forum which has a real influence on the international crypto market, global blockchain development and world digital economy. Top speakers from all over the world, best companies and special guests. 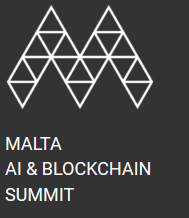 More than 3 days of amazing speeches, meetings with crypto legends and deals.